The GICB International Competition 2017 – as an exhibition showcasing the present and trends of global ceramics and acting as a gateway for newly emerging artists to acquire a presence in the global art scene – will offer diversified support programs that will help artists expand their worldview. Officine Saffi is pleased to invite you to the exhibition of works by the 30 finalists in the second edition of Open to Art, International Competition for Art and Design Ceramics. During the course of the evening, the winners of the second edition of the Open to Art competition will be announced. These are the winners of the VII International Biennal of Ceramics "El Vendrell 2015"
the Jury of the VIII International Biennial of Ceramics has already issued the verdict of the artists whose work will be shown in this year, which can be seen from Friday October 2 in Sala Portal del Pardo (El Vendrell) along with "Let's plate!" 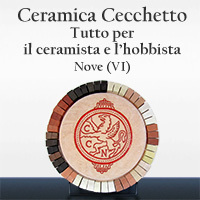 and coinciding with the VIII International Ceramics Fair. In total, there have been 139 ceramists worldwide with 275 works. The winners of the competition "GIVE ME A NAME"
today 21th March 2015 the jury voted the name for the Wood Ceramic Stove. Jury: Francesco Zanella, ceramic stove producer and who realized this ceramic stove, boss of the Zanella. Lauren Moreira, artist and ceramist, manager of the Facebook page MORE CLAY LESS PLASTIC. Olga Galiamina, painter and stylist-designer. Pierpaolo Scettri, Annalisa Meneghetti e Valentina Penzo, marketing agency "Web Marketing Consulting". Rigon Danilo, designer and performer of the first prototipe of the wood ceramic stove. Shyama Medhekar, English and Hindi teacher, cultural mediator. Silvia Imperiale, journalist and expert of the ceramic field. The theme for the 2014 Triennial was "NEW ENERGY"
The theme for the 2014 Triennial was "NEW ENERGY". The organisers expect artists to use the given theme with complete freedom and innovation. The works must be in clay, concrete, porcelain or glass and artists are free to choose the technical methods and approach to the given theme. The objects must be original works and not previously prizewinning works in any international competition. The winners of the first edition of the international Prize dedicated to art and design ceramics. A Hungarian artist, a USA student and a student form Aragon (Spain) won the seventh edition of the Biennale of El Vendrell Spain.